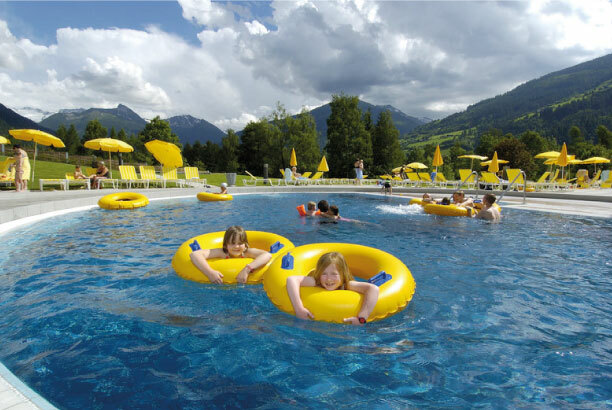 Alpentherme thermal spa Bad Hofgastein in Austria offers fun and regeneration for the whole family. Aside from many different theme areas, there are also opportunities for wellness, beauty, rehabilitation and sports at the Alpentherme spa resort in Gastein. 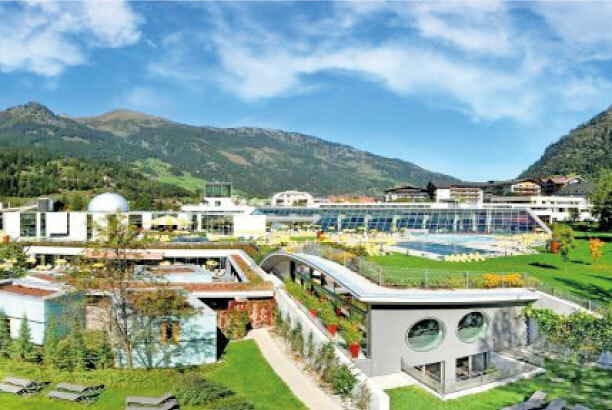 Alpentherme thermal spa Bad Hofgastein is divided into different areas, allowing resort visitors to enjoy precisely the pampering they are in the mood for. Relax World, for example, offers spring-fed in- and outdoor pools, water-massage loungers, a sunny sunbathing area, and oases of relaxation with panoramic views of Gastein’s mountain world. Ladies World is a refuge especially for women. Awaiting you here are a steam bath, tanning beds, a relaxing rooftop terrace, as well as a tea bar and separate treatment rooms.